Can you believe it's already back to school season?! Where did our summer go? To jump start your back to school shopping, check out one of the great events Macy's is having for the kids. 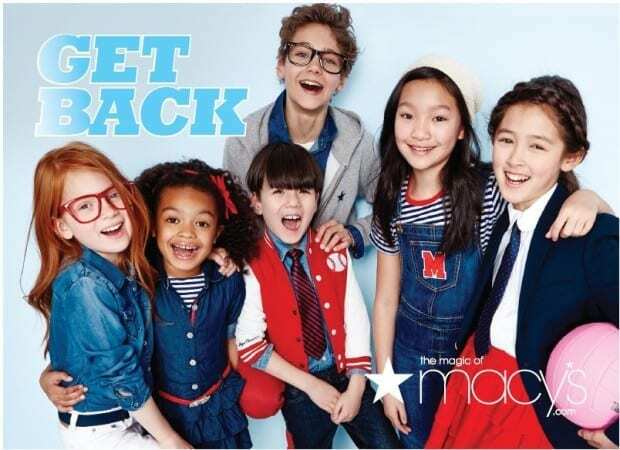 Macy's Get Back to School in Style event will be at the Mall of Georgia 3333 Buford Drive, Buford, GA, 30519 3rd Floor, Children's Department – 8/8/15, 2pm. This is a free event for the whole family! You can take your mini fashionista with you to check out some of the great trends for kids. Macy’s is your one-stop destination for back to school fashion. Help your child make a lasting first impression with the coolest looks for school. They will have crafts and activities for the kids including Disney Princess and Star Wars coloring books, the chance to make your own Princess crown and pose for a picture in our Disney Princess and Star Wars-themed photo booths. Check out the coolest looks for school and play. Plus, enjoy refreshments courtesy of Drazil Tea, Little Me Tea, and snacks of courtesy of Deep River Snacks and Snack Factory Pretzel Crisps! I'm always the parent that has no idea how to layer, or mix and match prints. I need all the help I can get. Seeing it on the runway is going to be a great way to get ideas on what my daughter likes (because she'll be watching with me), and how to put it all together. Heck maybe we will start transitioning into that age where she starts to pick out her own clothes and they look trendy on her, so then she can start dressing me. That's my ultimate goal here. My kids making me hip again. There are events happening all over the country. At a fe locations, Daniel Skye (the artist) will be there personalizing backpacks! Check out macys.com/btsevents to see if there is on in your area.